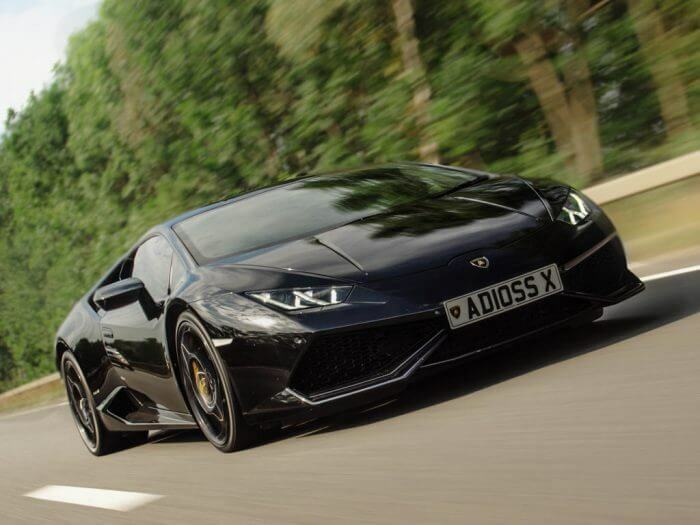 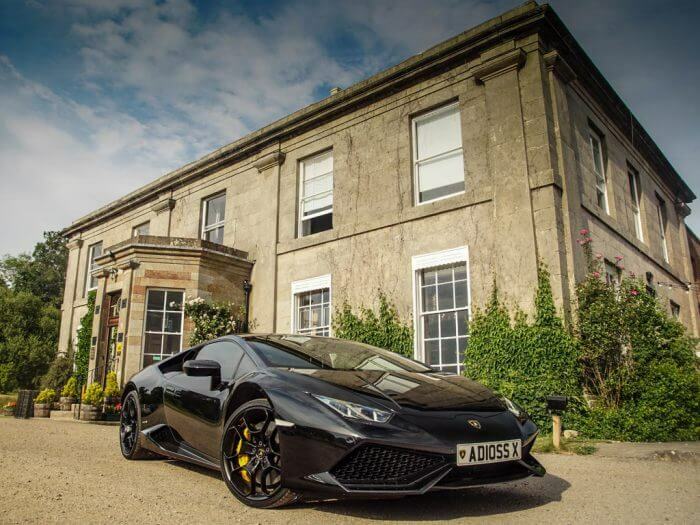 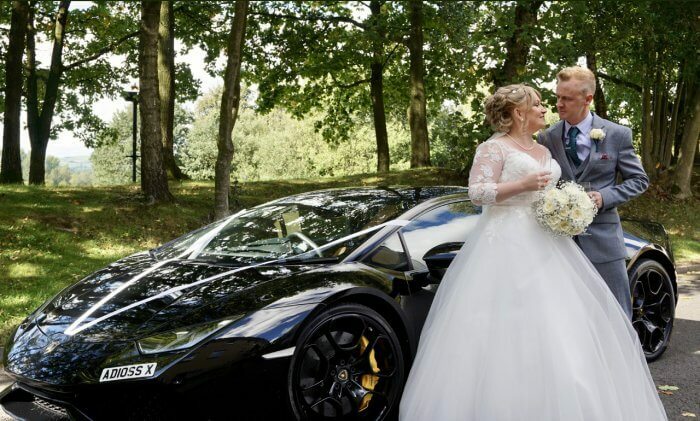 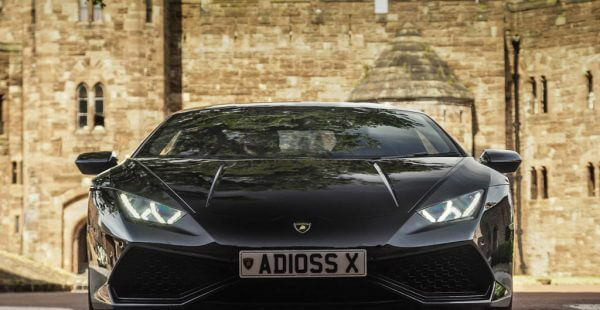 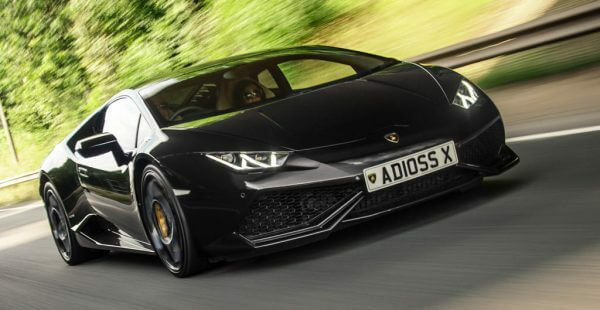 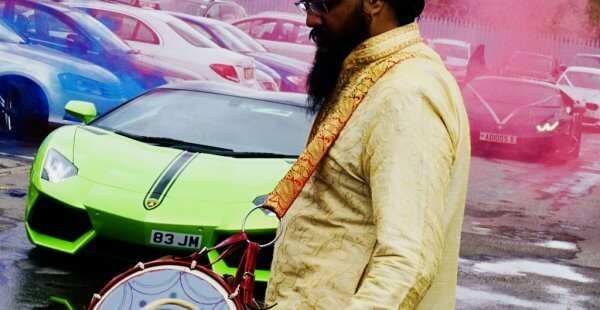 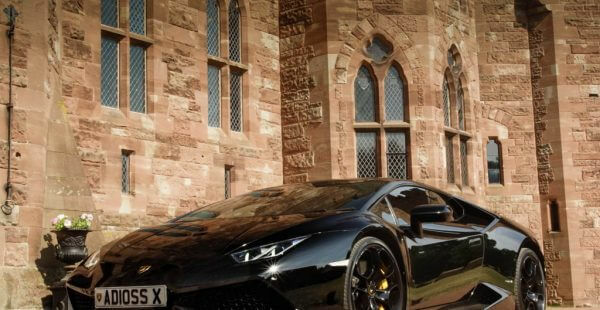 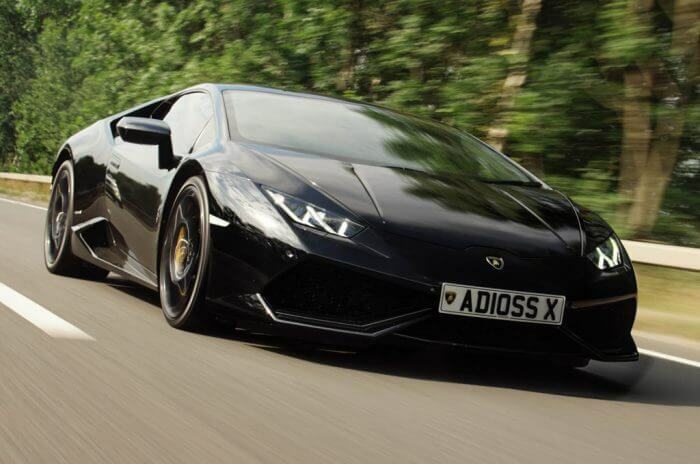 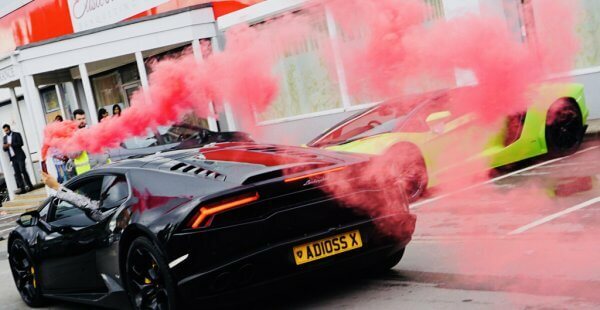 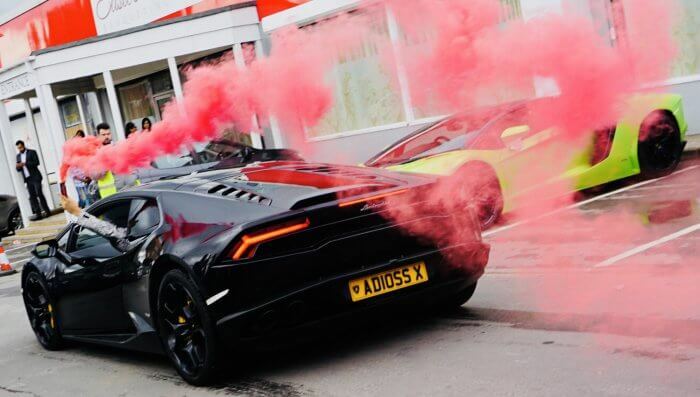 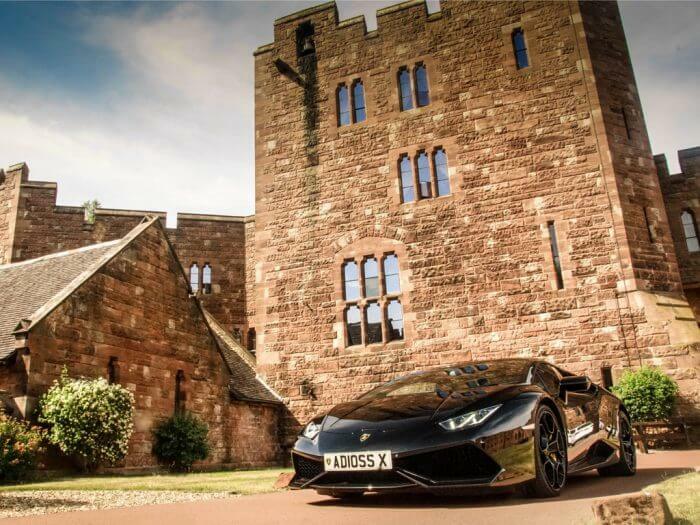 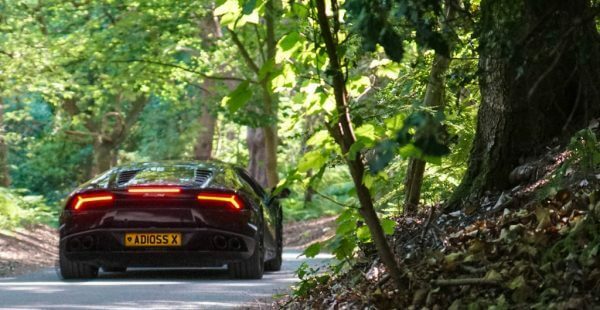 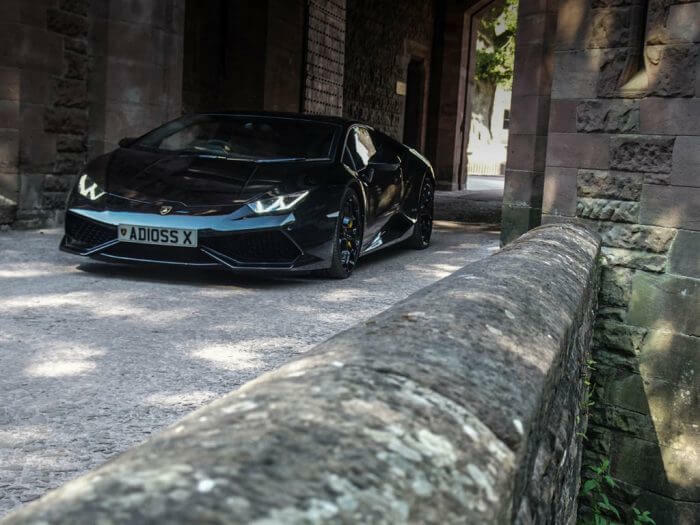 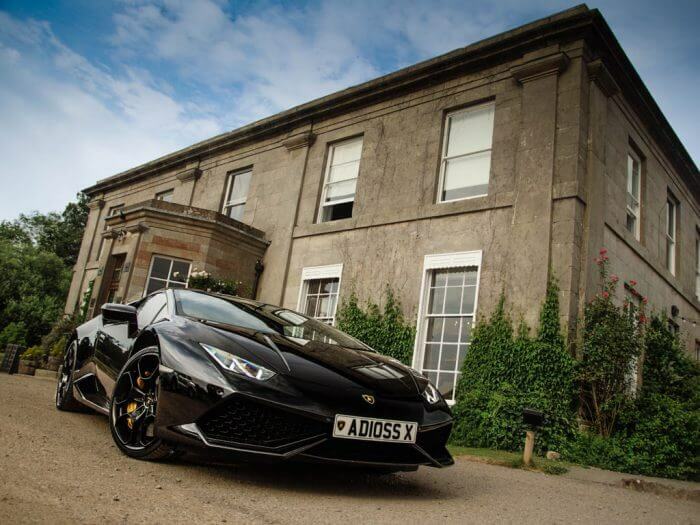 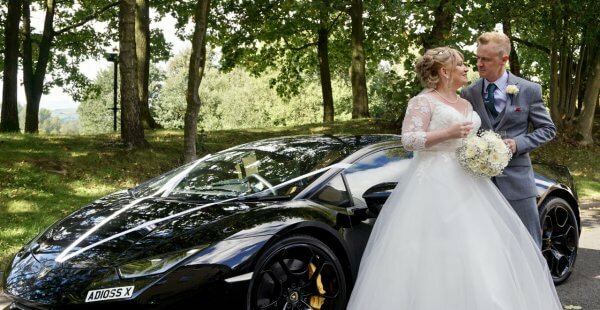 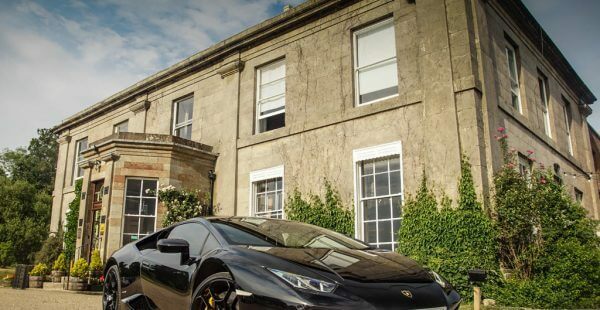 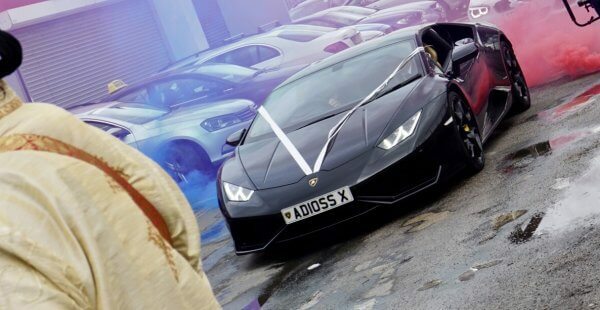 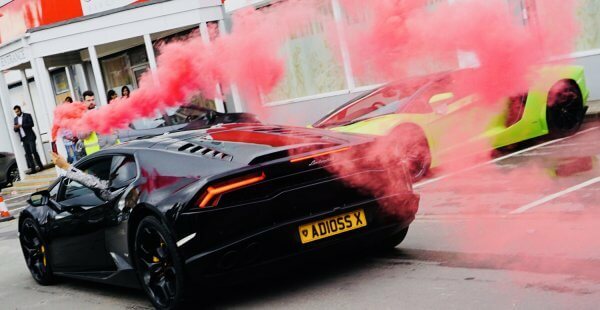 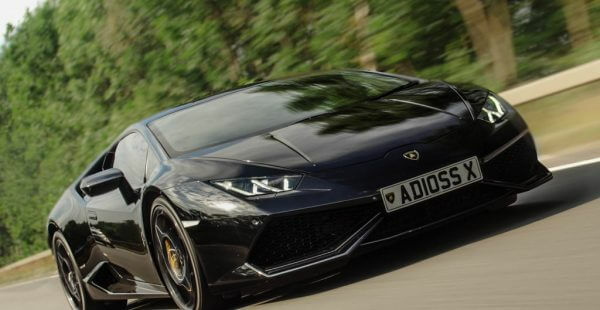 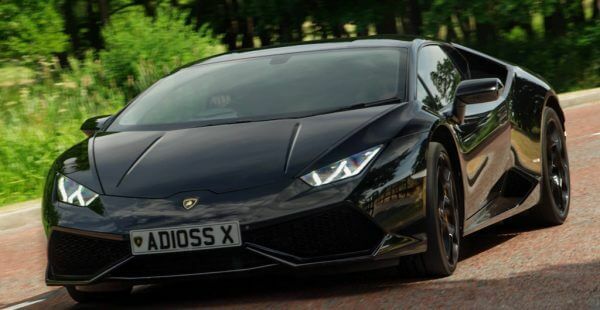 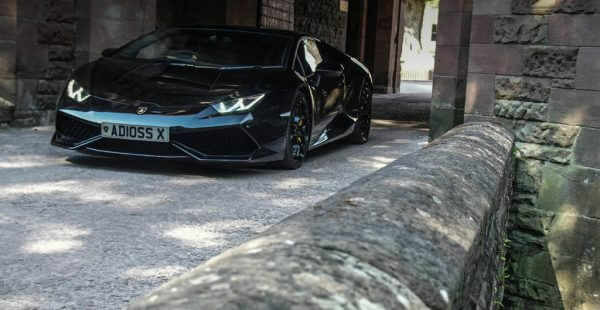 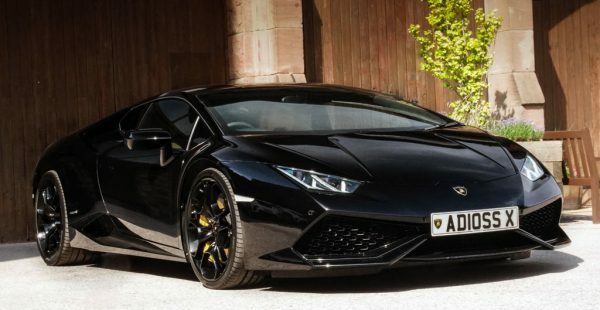 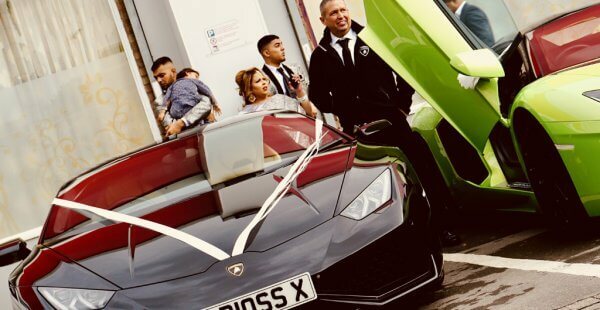 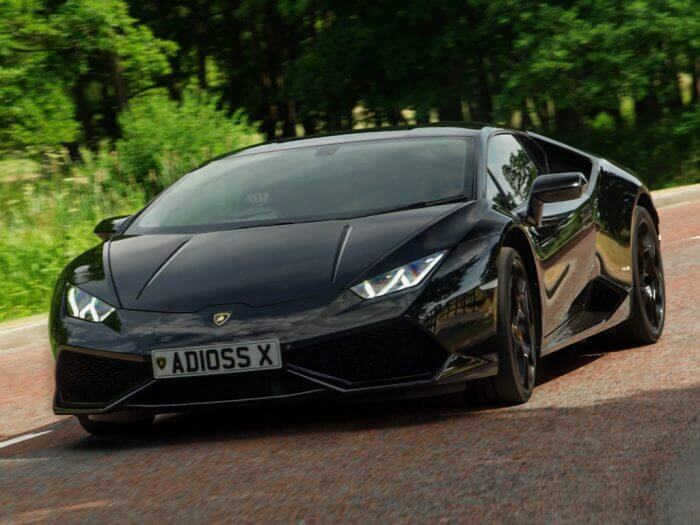 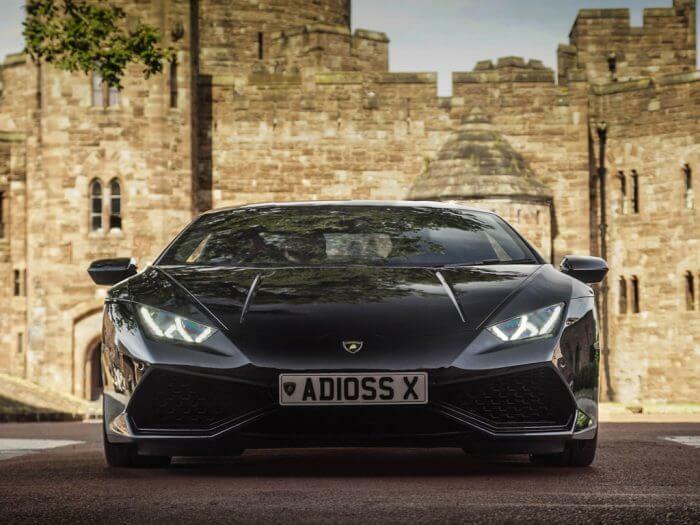 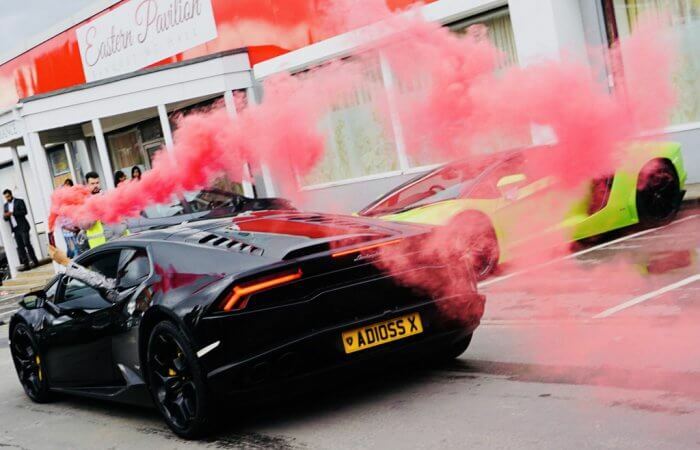 This Lamborghini Huracan is the ultimate Supercar Wedding Car with the perfect reg; AD10SS X – Say “Goodbye to single life”!!!!! 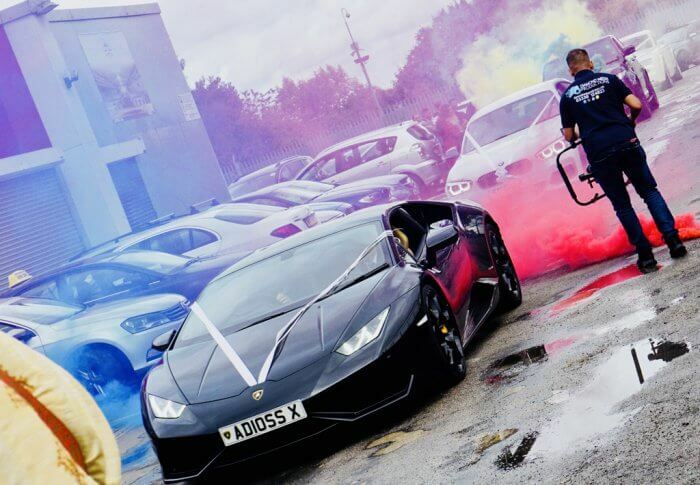 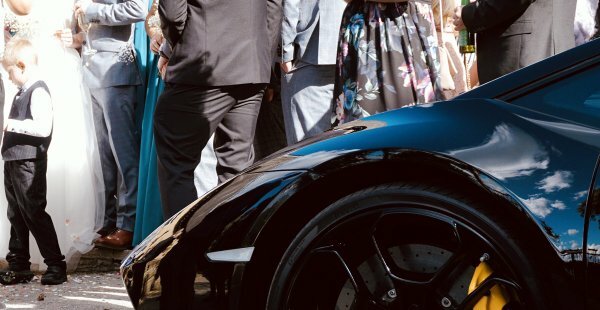 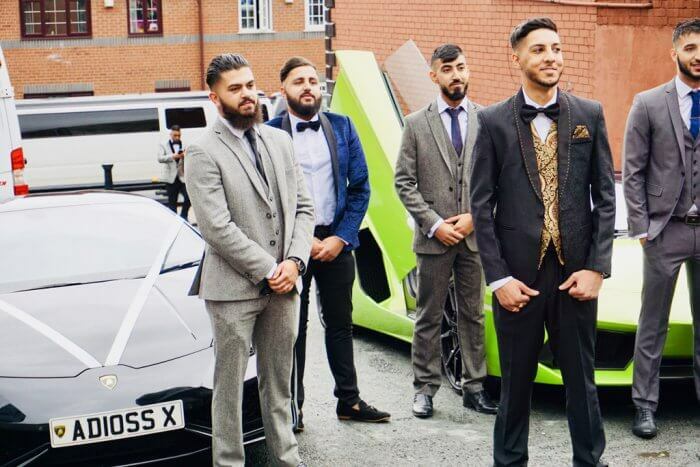 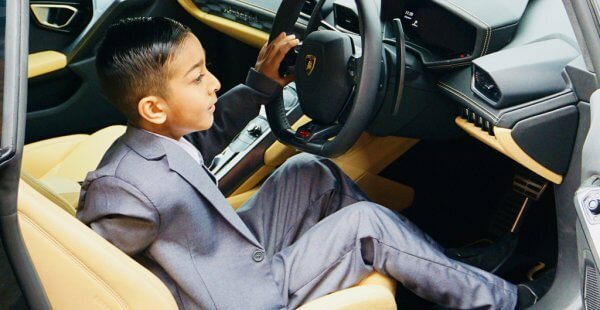 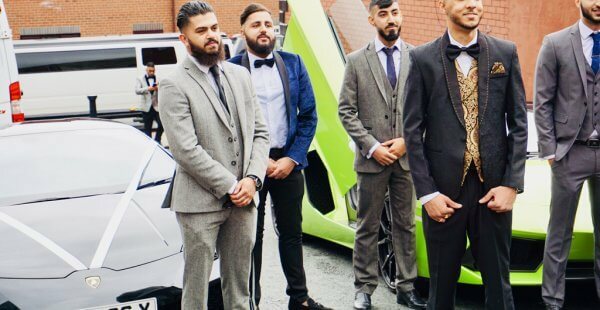 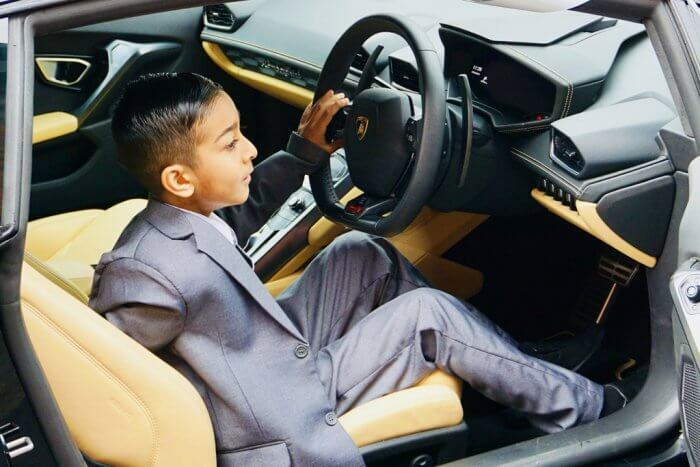 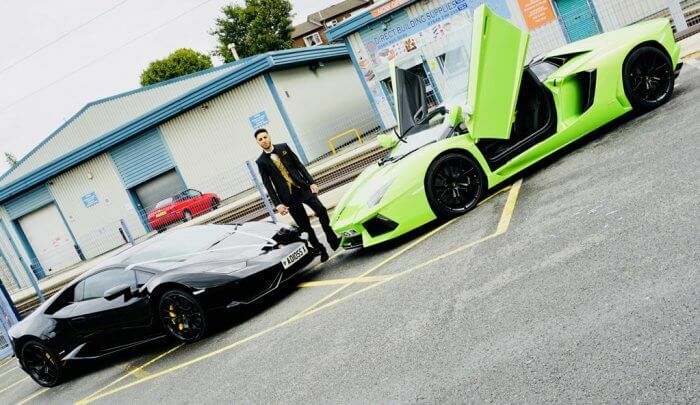 If you are looking to make an impression and create magical moments on your special day, show your guests an entrance to remember with this absolutely stunning Laborghini Huracan. 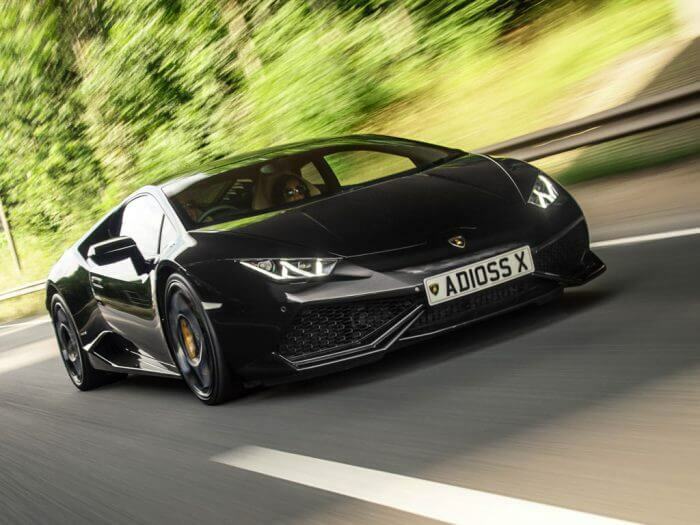 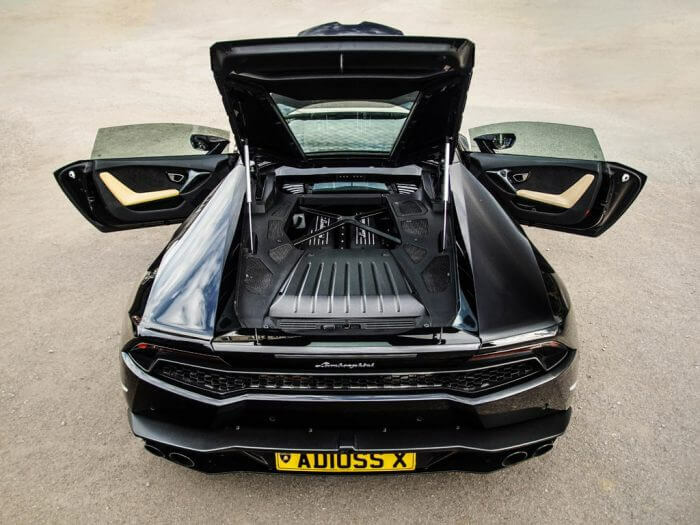 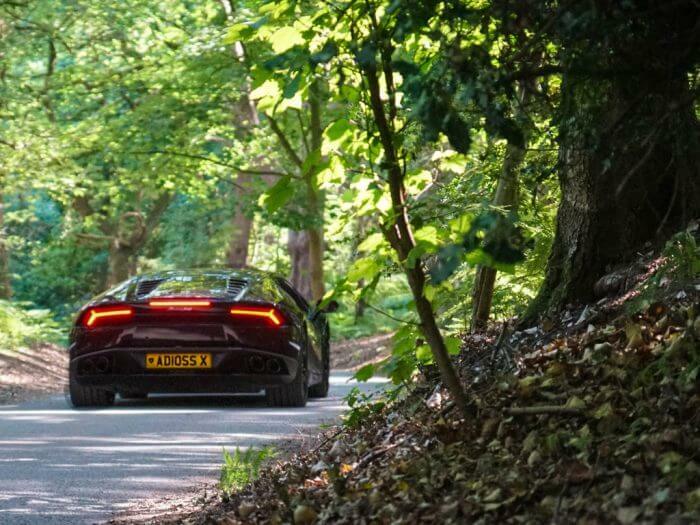 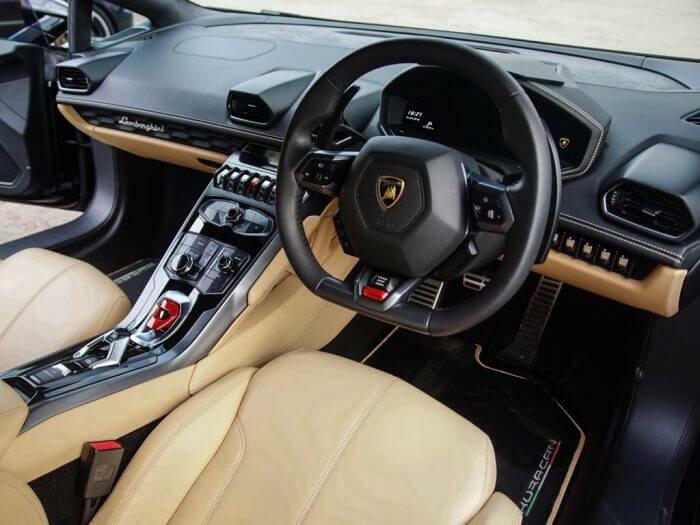 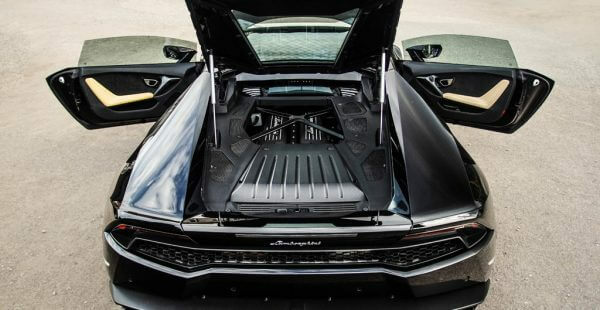 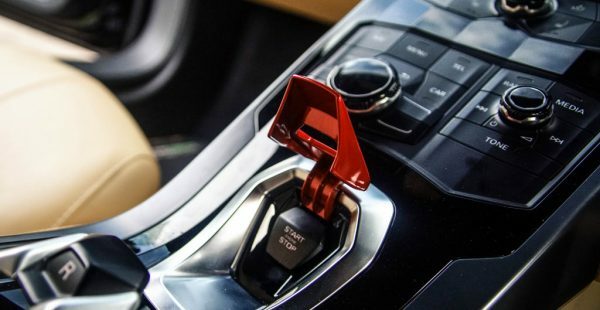 This Lamborghini is no normal Huracan, it has every available extra added, making it the ultimate supercar with an unbelievable 610BHP, taking you from 0-60 in just 3.1 seconds! 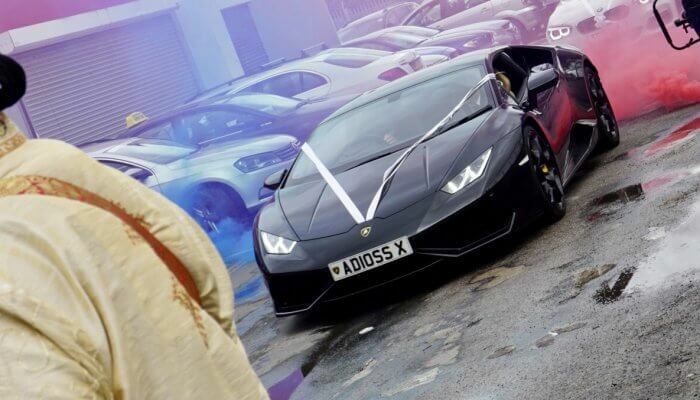 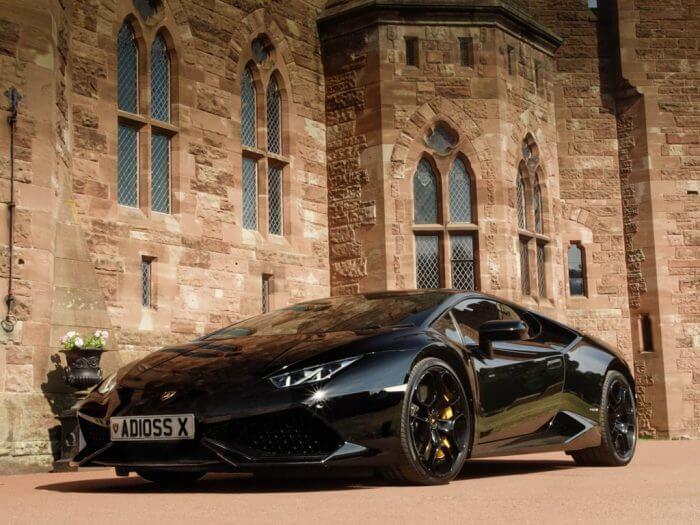 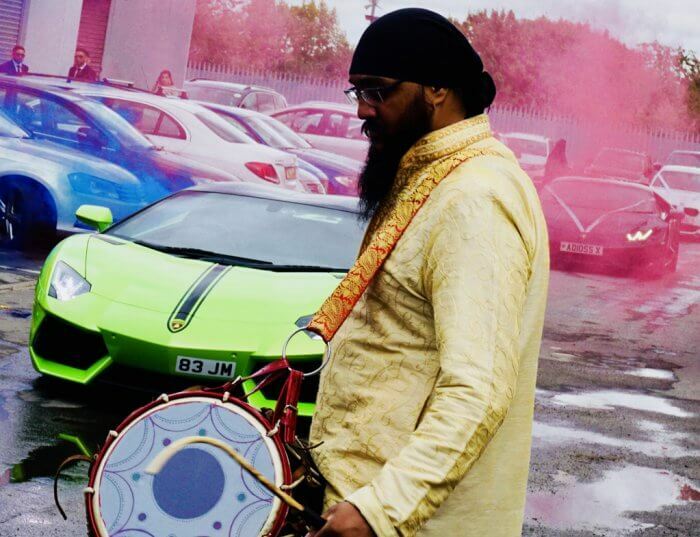 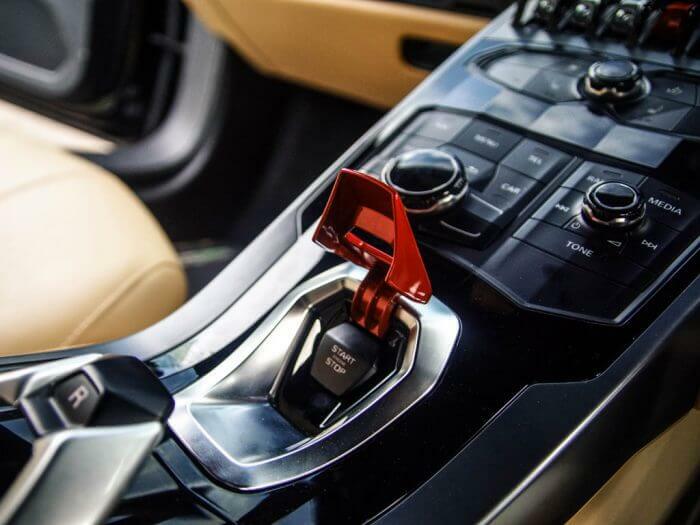 High powered performance you could feel for yourself as a passenger on the way to your big day! 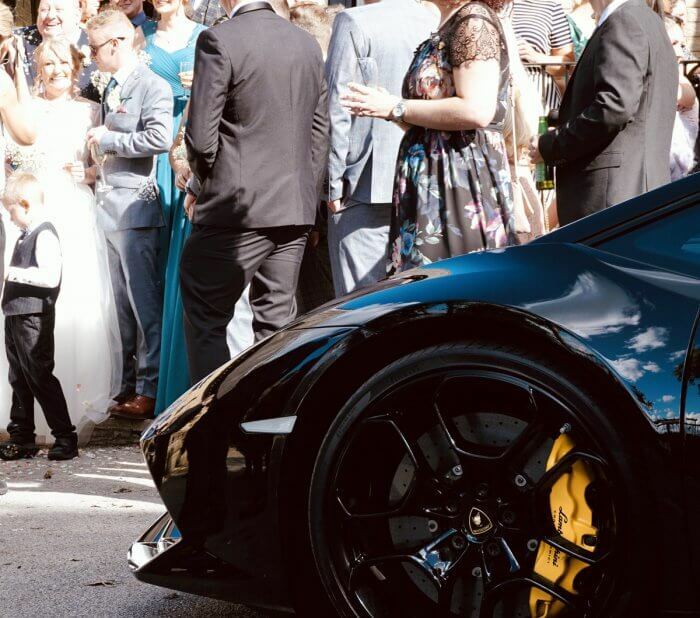 ALSO, there is a choice of either a male or female driver. 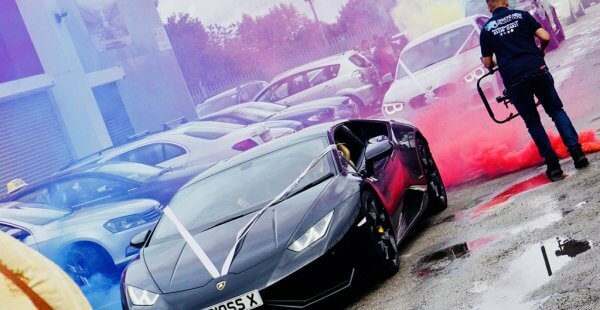 Can you think of a better way to get you to the Church on time? 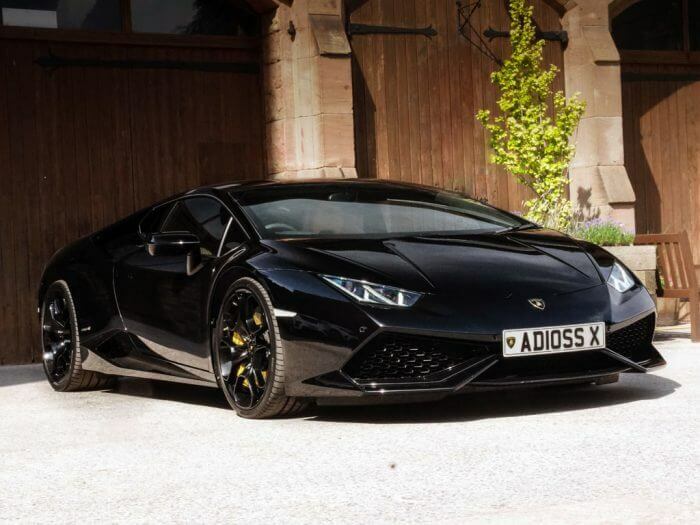 Jus and Mel are ready to take you on the journey of your life in this black on black bad attitude mean machine. 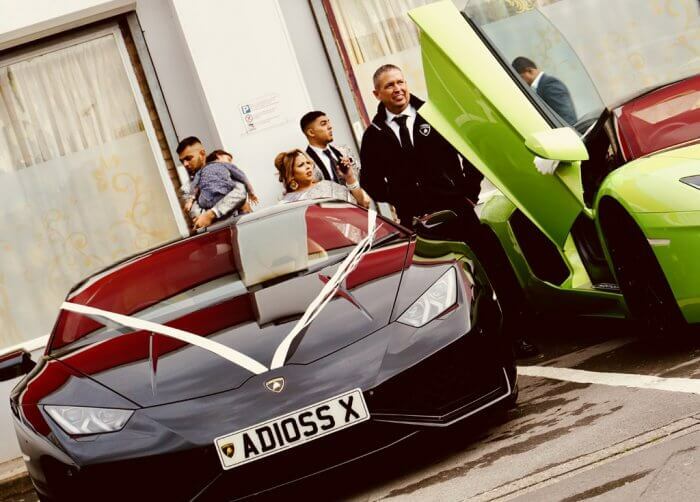 Make the perfect start to married life and say Addioss X to single life ……. 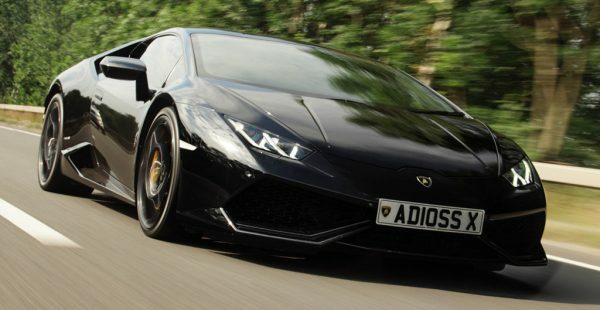 you will not be disappointed!!! 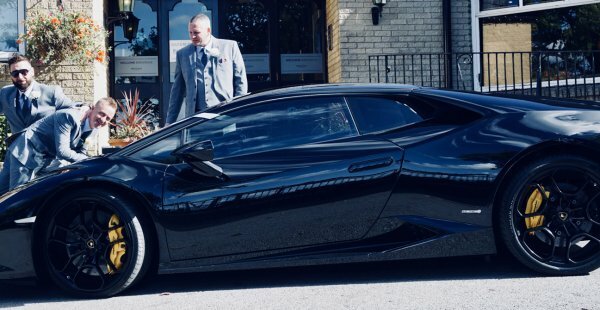 Please ensure you calculate a return trip for the vehicle. 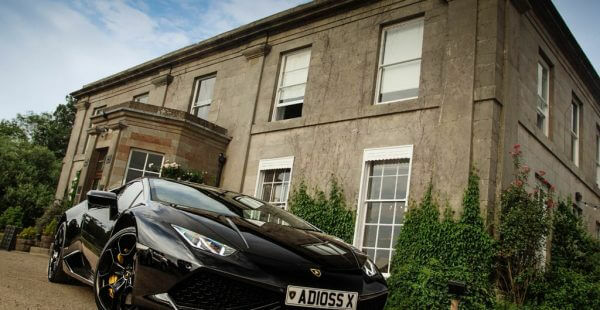 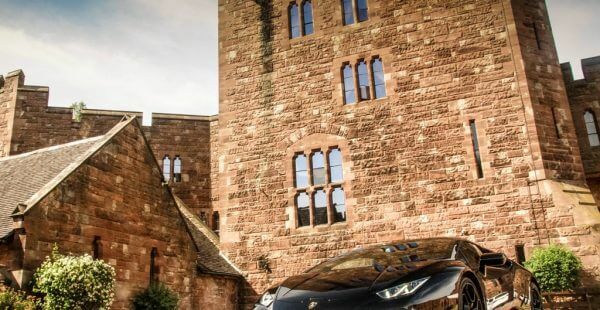 Phone: Please contact 01422 374617 - evenings and weekends.